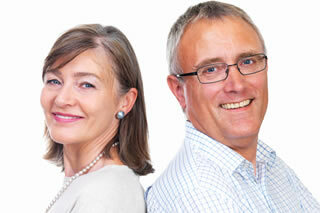 Dental Implants are considered the best treatment for replacing missing teeth. This permanent option allows us to place a fixed or removable prosthesis depending on your needs. Not everyone is suitable for Implants but other options are available should it be deemed that you are not. At Cygnet Dental Practice we are lucky to have an Implantologist carry out this treatment for us at his Specialist Practice. Implant placement is carried out under sterile conditions at this practice, which is only about 15 minutes away from us. The dentists here will then complete the treatment. Dental Implants are very strong and will last you at least 20 years or more but like any treatment you have, care is needed to ensure the longevity of treatment. Most Implants require a healing period of approximately 12 weeks. During this time the bone integrates around Implant making it solid in the jaw bone. This is called Osseointegration. Same day Implants can be placed when we are replacing a full arch of teeth. By placing two Dental Implants at the front of your mouth and another two at the back, inserted at certain angles calculated from a CT Scan, ensures instant stability to allow us to place a secure prosthetic straight away. This could be either a Bridge or a Cosmetic Denture. This method is called ‘All on 4’. When we lose a tooth the bone that held it in place gradually recedes. By having an Implant placed this stops this bone loss as the bone has something to hold on to. Bone loss can become a problem for patients who are edentulous (who have no teeth) and have dentures as the bone has nothing to hold onto and will quickly recede. This means there is hardly any ridge for the dentures to hold on to. Bone loss can also cause the appearance of the face to alter, giving a sunken look around the jaw area. If you are from the Wickford area, including local villages such as Downham and Shotgate and your are tired of suffering with missing teeth, why not call us today?